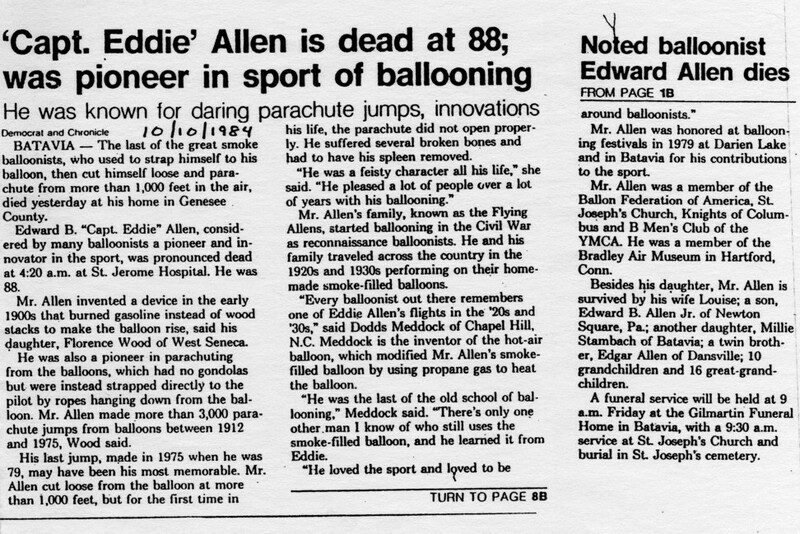 Captain Eddie Allen, the "Grand Old Man of Ballooning", passes away. AND Watch this clip of Capt. Eddie Allen !! Note: Date, written in should be 1989.